December 1-4, rediscover the true reason for the Christmas season with the Streets of Bethlehem, an outdoor community Christmas experience. See shopkeepers, pet the animals, and walk with Mary and Joseph and the cast of 300 through the Streets of Bethlehem. 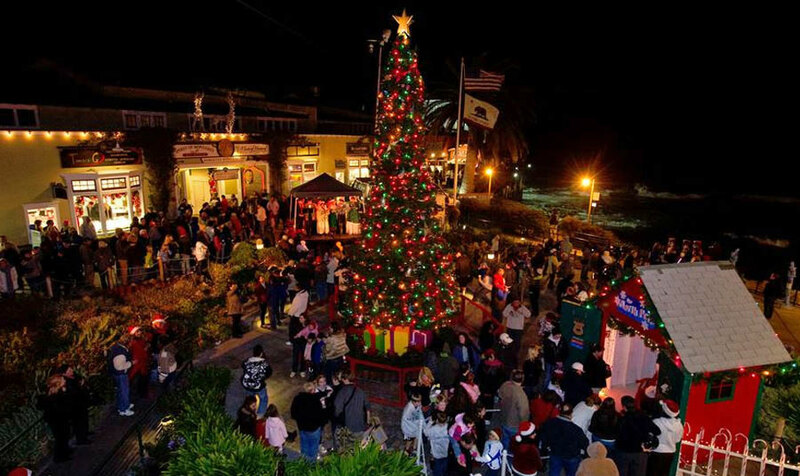 Old Monterey history and tradition unite with the annual “Christmas in the Adobes” celebration. Thursday and Saturday, December 9th and 11th tour 22 historic adobes including Cooper Molera, Casa Soberanes, and the Maritime Museum by night. Enjoy entertainment and refreshments along the way. Monterey Yacht Club’s lighted boat parade, “Brighten the Harbor” will be held on Sunday, December 18th at 5PM. Returning this year, is the wonderful winter pastime, “Monterey on Ice”, ice skating, at the Custom House Plaza November 29 through January 11.